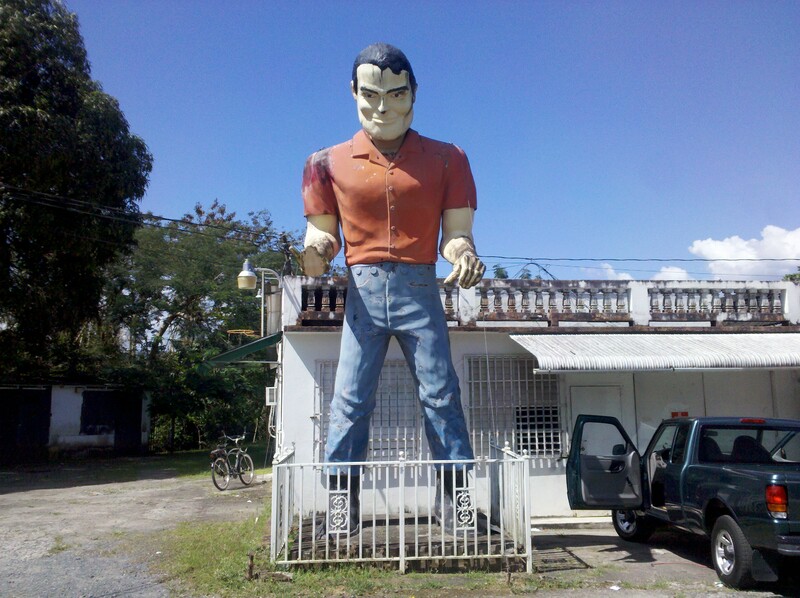 This entry was posted in Uncategorized and tagged Caguas giant, International fiberglass, muffler man, Puerto Rico muffler man, Rafael Ramirez Aponte, roadside america, washington muffler man by jbaker98. Bookmark the permalink. 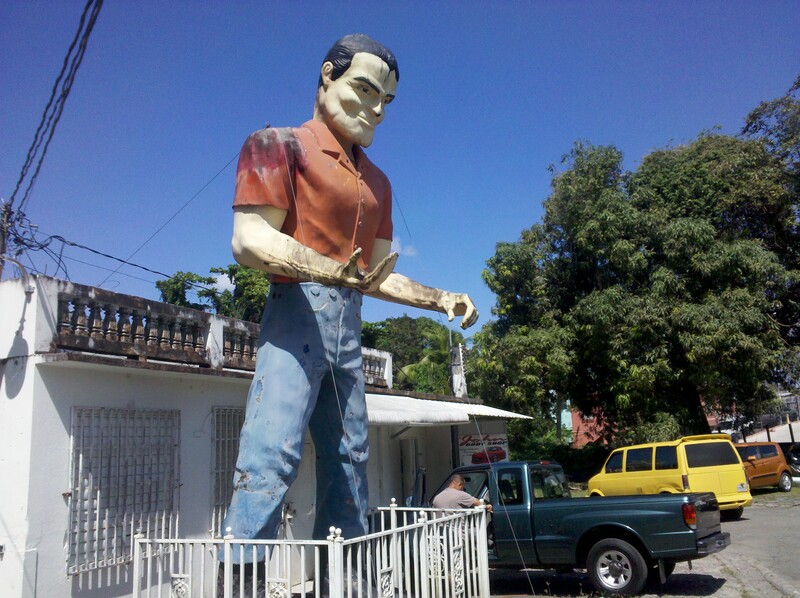 I can’t believe you went all the way to Puerto Rico just to hunt down a Muffler Man! I love it! You are the man. I thought we were pretty avid, but you’ve got us beat by a mile. (Or more like 3,000 miles.) Great stuff! NIce report, Mr. Baker. 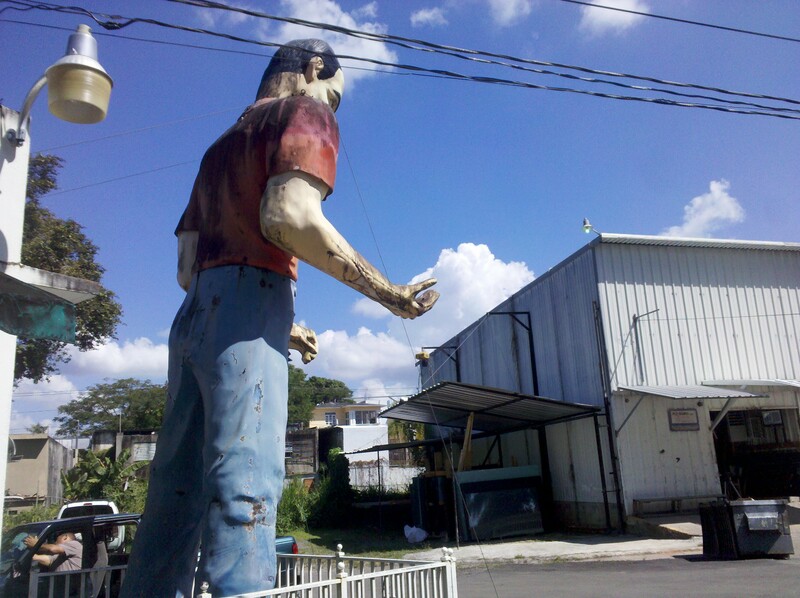 The Caguas Giant is still a beloved icon of our city. 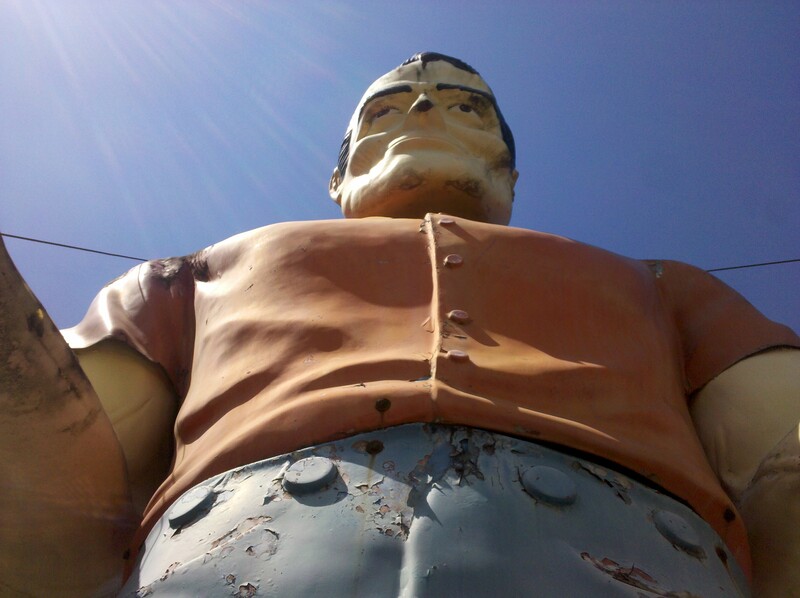 I’m the one who sent the other sighting report to roadside America. Thank you so much for that report! I really enjoyed tracking him down and finding him based on your information. 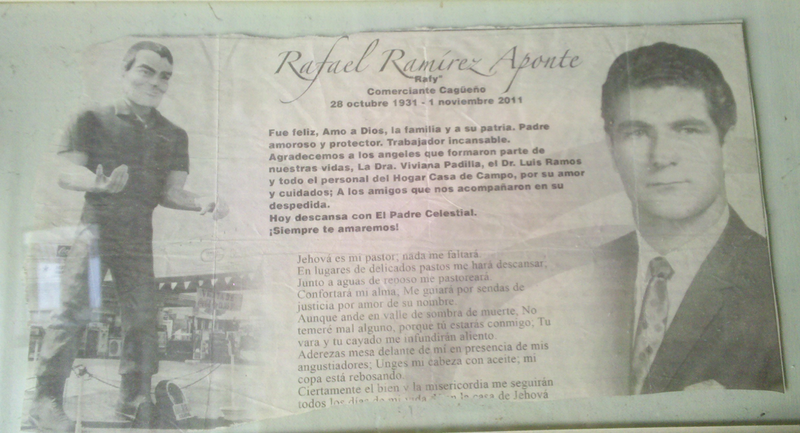 Hi My name is Rafael Ramirez and I’m the grandson of Mr. Rafael Ramirez Aponte. 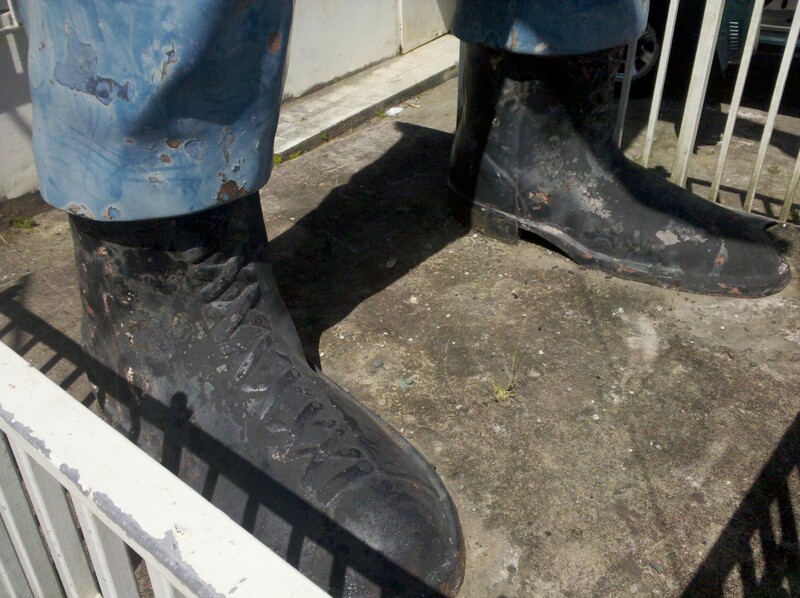 I knew some history behind the Muffler man but you got it right. Hard work pays off. 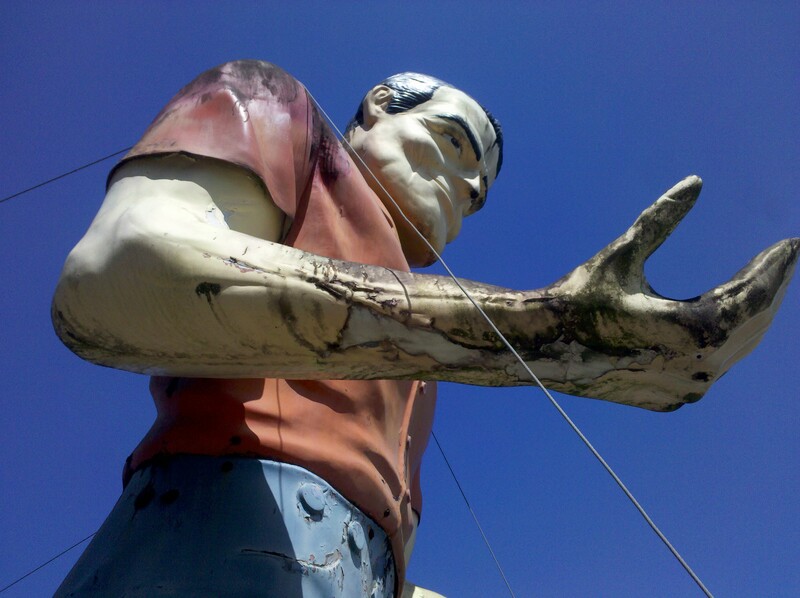 Me grandfather passed away about 2 years ago and the family is thinking of maybe passing down the giant to the municipality so they can put it for the enjoyment of the town. I grew up in Caguas, Puerto Rico. I remember clearly this being one the main landmarks there. It was called the Texaco Giant back then.